I came across Audra Kubat sort of accidentally. I was checking my weekly Last.fm recommendation list and she happened to be number 1 on the list. Anyway, Audra Kubat is really something different. 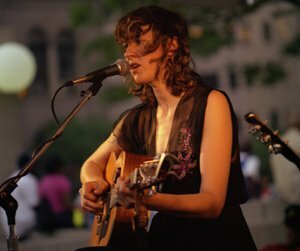 She's been described as "the folk singer rock folk come to love." and "a force of nature." I can't seem to choose the right words to describe her music besides wonderfuly and delightful. Have a listen and enjoy.